Those of us who race almost any distance longer than a sprint have undoubtedly been advised by someone to "run your own race". 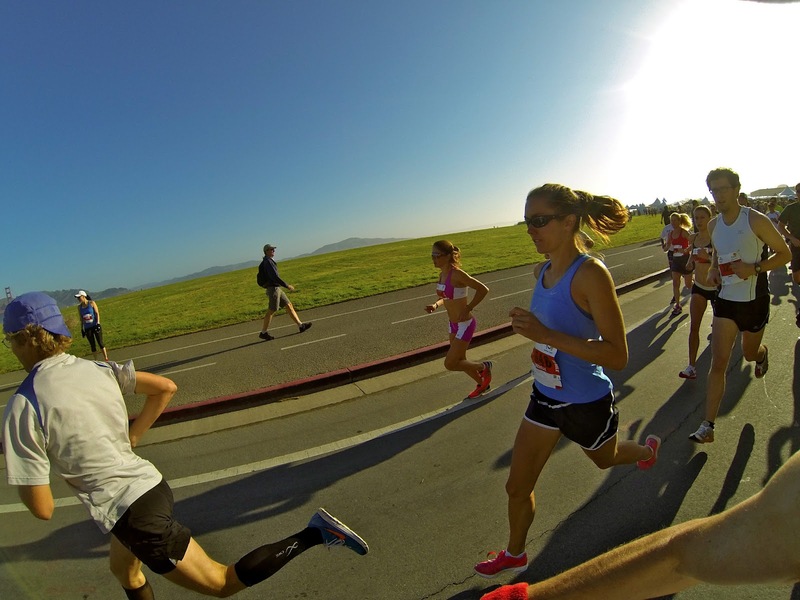 Aside from the general acceptance that it is a way to run a personal best time at most distances, it is something not frequently achieved in practice. This has been on my mind since taking a different approach, and perhaps an experimental one, at the recent Lake Sonoma 50 mile race. In recent years, Lake Sonoma - part of the competitive Montrail Cup Series - has drawn a growing field of elite runners while selling out all of its available entries in a matter of hours. 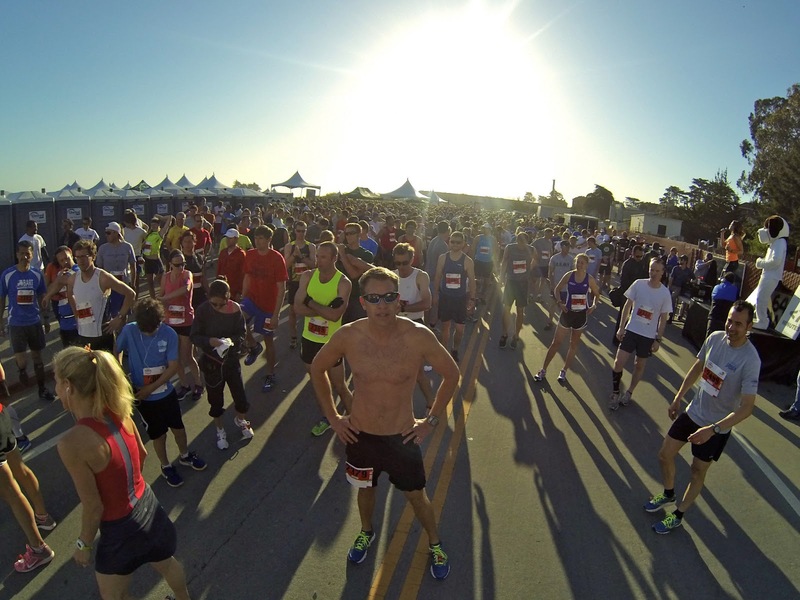 Competition aside, it is a destination event with three days of fun including a Friday pasta feed party, a rugged and beautiful course to run on Saturday with gourmet tamales and microbrew at the finish line, and a Sunday winery tour and social gathering. It is the brainchild of Ultrarunning Magazine publishers (and patron saints of the sport) John Medinger and Lisa Henson. 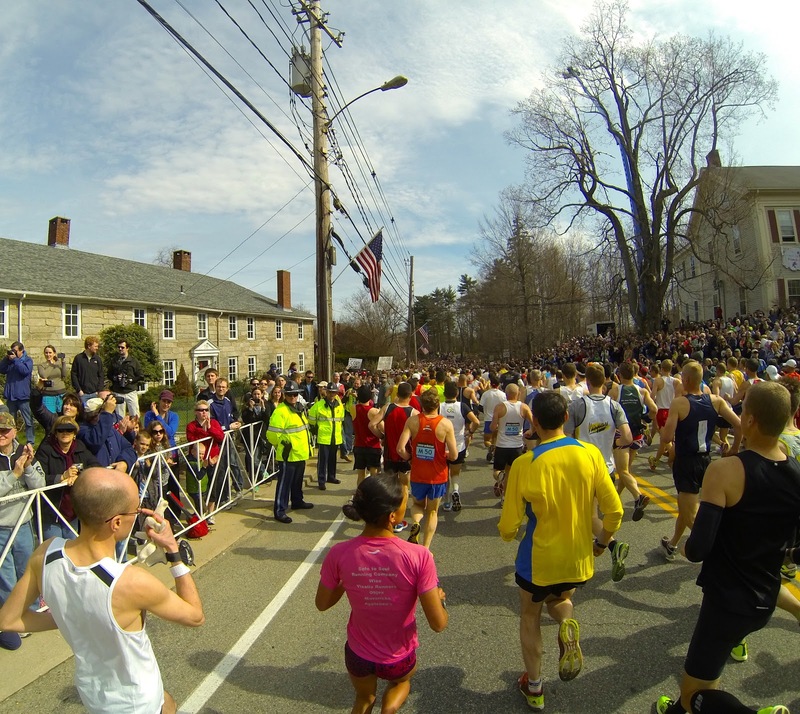 The somewhat intimate size of the event, at least compared to a big city marathon, provides a convivial atmosphere. With a busy schedule this year consisting of one ultra a month from January through September, it made perfect sense to shift my focus for some of these races from what my finish ranking should be to an opportunity to refine pacing and fueling strategies. Every race is ideally a stepping stone. 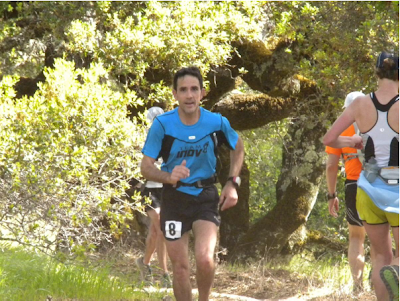 I felt that Lake Sonoma, with a relatively large number of top runners whom I might finish in front of or behind at other events throughout the year, was a good fit for figuring out how to race the clock while exercising the restraint of not racing other people. It was expected that testosterone would take control of the pace from early on. 2012 was a course record year - one that saw the record fall by 50 minutes. What was a fast pace for the top 10 or so runners for the first half of the race in 2012 was an even faster pace for the top 20 this year. My approach, experiment really, was to attempt to run what should be my average effort for 50 miles for each and every mile along the way. 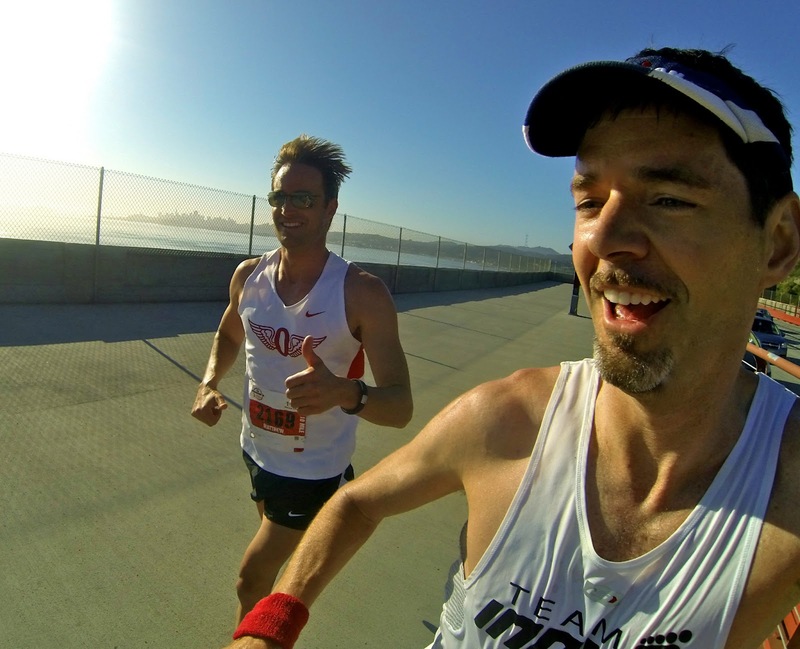 The "go by feel" method doesn't work so well in this regard as pretty much no one feels very good at mile 49, and human psychology limits the ability to ignore the influence of the pace of runners around you in the opening miles. 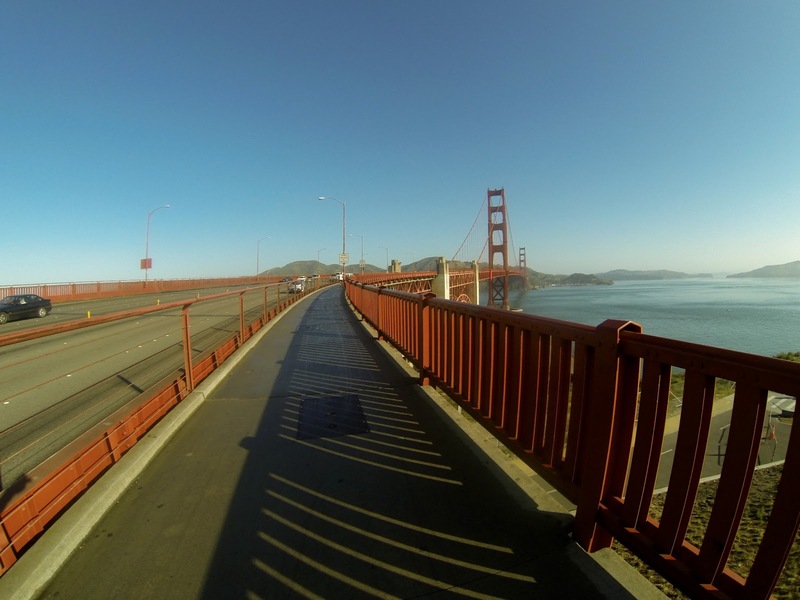 The approach I took was to run within a narrow heart rate range every step of the way. For 50 miles this works out to roughly 30 beats below my maximum heart rate and a span of about 7 beats to account for variation in terrain. It works out to about a 6:30 pace on a flat road. The results along the way were somewhat promising. My splits through the halfway point were slightly ahead or even with those of last year, but that was probably due to having had a bit more fatigue going in to the 2012 edition. Running with steady effort as measured by heart rate produces an interesting effect on very hilly terrain. It's what Nick Clark (3rd place in 2012, 10th place in 2013) described as an "awkwardly choppy tempo" and I don't argue with his observation. I've seen the same thing with years of cycling while using a power meter. 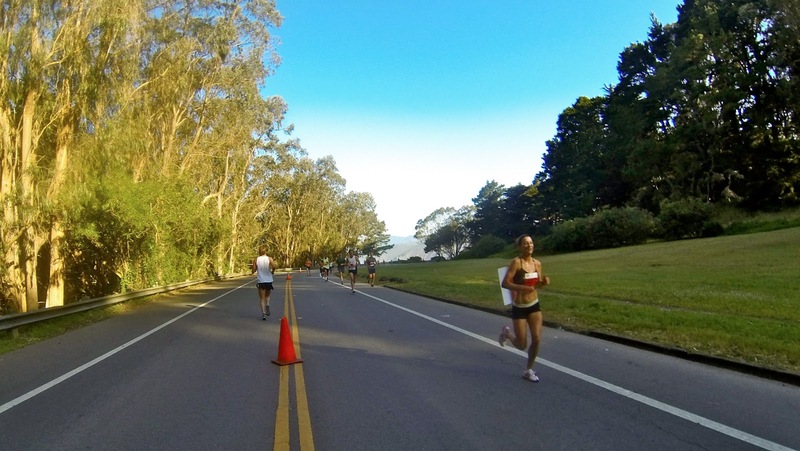 There is a natural tendency to dig deep on every climb and recover (or coast) through flat and downhill sections. I see it at every level of runner or cyclist from beginner to elite. My hope was that in avoiding a 50k effort on every climb, I'd have enough gas in the tank to run 50 mile pace in the closing miles. I knew from experience that hitting the red zone too early and often would set me up for a disastrous finish. ran our own race in fairly close proximity until I succumbed to my all-too-familiar inner thigh cramps in the last 12 miles. Despite slowing down and even having to take a few brief stops, I passed four runners and somehow bridged back up to Karl with half a mile to go. I accelerated by him carefully and kept speeding up, for no good reason perhaps, all the way to the finish line. Max King, pre-race favorite who led the first half of the race at breakneck speed but slowed by 25% in the second half (while still finishing 3rd overall), teased me that I looked like I was finishing a 5k. In terms of effort, it's possible that slightly harder efforts on the climbs were warranted. On the other hand, muscular endurance (as manifested by cramping and reduction in speed) might have been compromised even more despite still having energy reserves to spare. Endurance events of very long distance expose weak links in every individual in a way not seen as often in sub-marathon and even marathon distance - nausea, muscle cramps, biomechanical problems, exhaustion. This is apparent in the numbers of people who are able to run an even pace for an entire race. 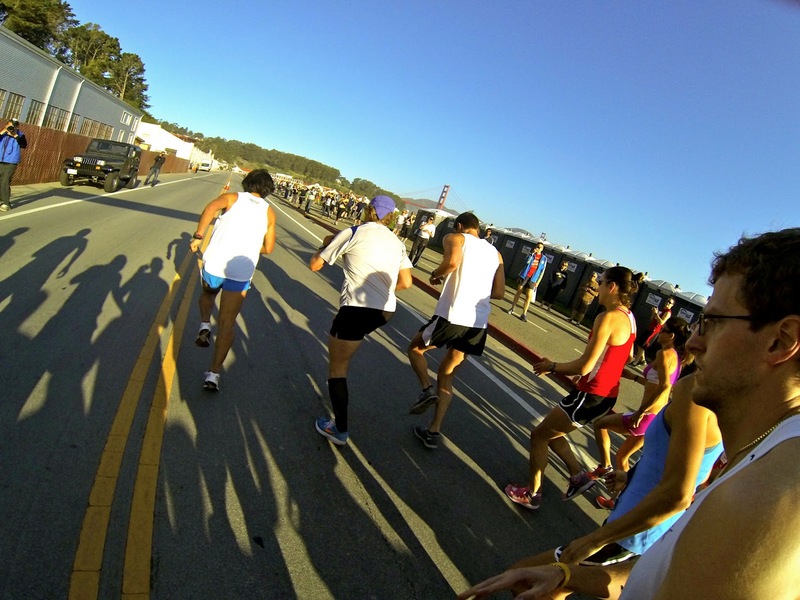 It is a vanishingly small number of runners in a 50 mile race who slow down less than 10% in the second half of a race. 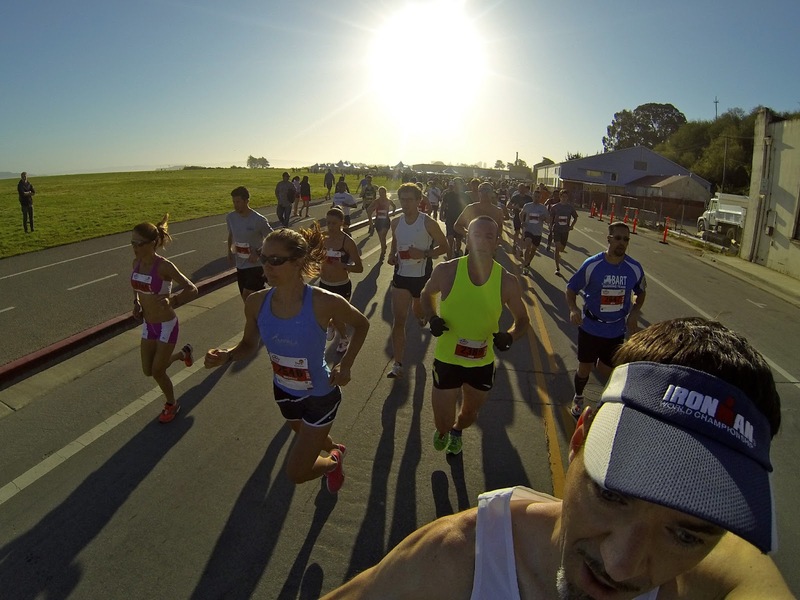 The median slowdown is around 20% and there is no discernible correlation between that number and whether the runner finished at the front, mid-pack, or in the back of the pack. You might expect that as records continue to fall, and as more runners take to the trails and run long distance, you will see front and mid-pack runners showing even splits. I spoke to Salomon International Team member Rickey Gates about this. He feels that a lot of the talent in the sport is not performing now to their full potential (himself included) and that split times in the future will be much more even or even negative. I think the ultimate parallel for this type of ultra distance runner are the top European bicycle racers. The famous bicycle racer and television commentator Bob Roll said that a Tour de France rider - after 3 weeks of incredible distance and intensity - becomes a machine designed to ride a bicycle. 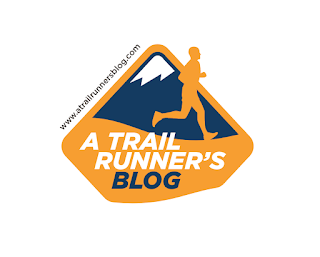 Some day soon we will probably see more of that same level of performance in ultramarathon running (and hopefully without performance enhancing drugs!). Sage Canaday is someone on his way to this level of performance. 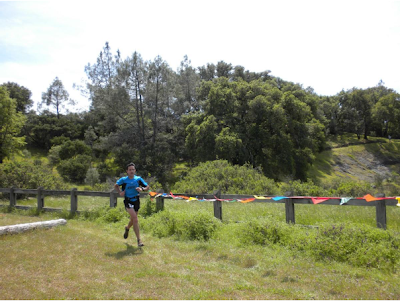 Sage not only won Lake Sonoma in course record time, but was the only runner in the top 50 overall who slowed down less than 10% in the second half of the race. I helped Sage get last year's winning split times the night before the race which he promptly wrote down in magic marker on his forearm. Despite being 5 minutes behind the leaders at the turnaround he had a 6 minute cushion to break the course record and did just that but with only two minutes to spare. Max King assures me that his own time to the turnaround, albeit a full 5 minutes ahead of Sage, was the right one for him had it been his "on" day, so we are likely to see that lofty course record fall again. The upside to the discomfort and the complexity of the challenges faced by every entrant in an ultramarathon is that it forms a common bond. Ed Ayres describes this well in his book The Longest Race. Ayres looks back at how it would have been anathema to his high school coach for a runner to think of his competition as companions. Decades later while running the JFK 50 Mile, he reminds himself how companionship strengthens the spirit and that running his best would be helped by his hope that everyone else ran their best as well, including his age group competitors. 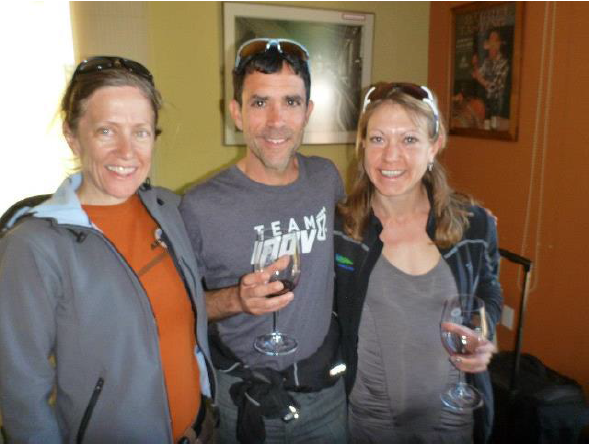 Two people that I was rooting for at Lake Sonoma this year include Joe Uhan and Myles Smythe. Joe ran the fastest final 12 miles of all but one person in the race. Myles covered the final 12 miles slower than all but one finisher in the race. Joe had a breakthrough day. 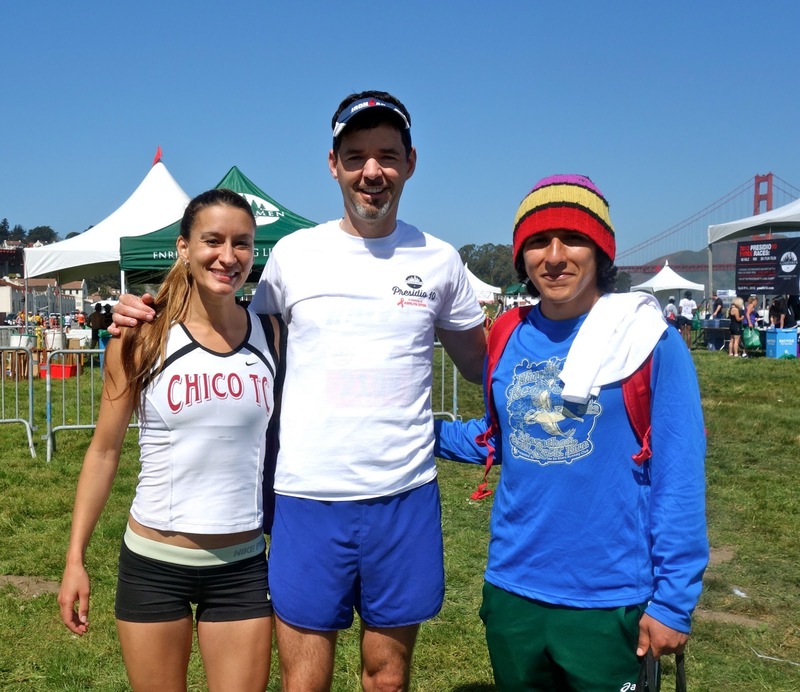 He profited from hard work on his biomechanics, diet, and training and is poised to improve this year at the Western States 100 over his stellar time from 2012. Myles is a fit runner with tremendous enthusiasm for both participating in and photographing trail races. He is an acquaintance I had misplaced, but we connected online to share a campsite before the race. His demon is debilitating stomach issues. He has been tenacious and unrelenting in his quest for a solution and I'm sure he will find it some day. I am reminded that there is no easy formula for extrapolating outside our normal comfort zone. Experience through trial and error along with trust in yourself chips away at obtaining elusive goals. 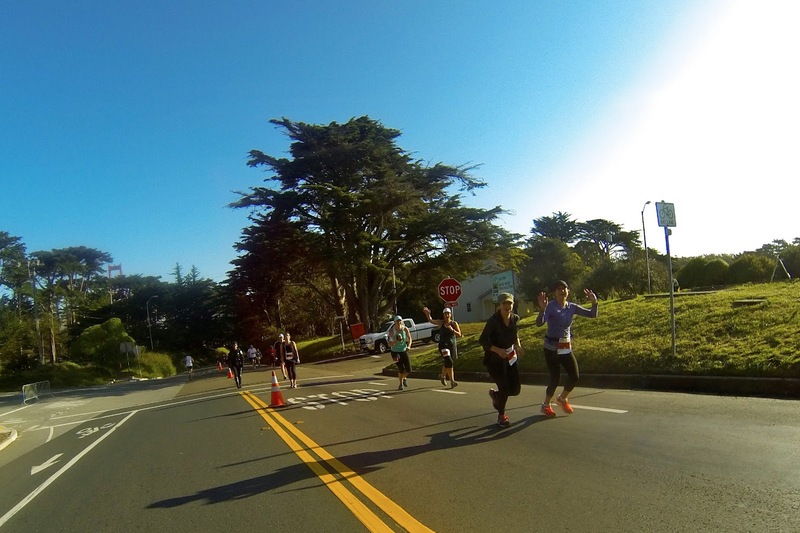 It was a beautiful San Francisco day last Sunday when I joined 3,000+ runners for the annual Presidio 10-Miler. 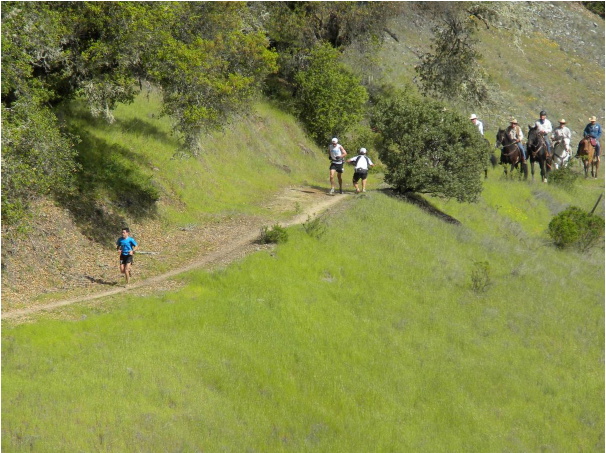 This was my third running of this hilly and fast 10-mile (or 10k/5k) put on by The Guardsmen, and it was once again the Road Runners Clubs of America (RRCA) 10-mile National Championship. It would take a lot of sun and smiles to brighten up a week that began with the tragic bombings at the Boston Marathon, but thanks to great race directing, volunteering, ideal weather, and the solidarity of our fellow runners, our souls were alight with a healing warmth brought by a perfect day of running. 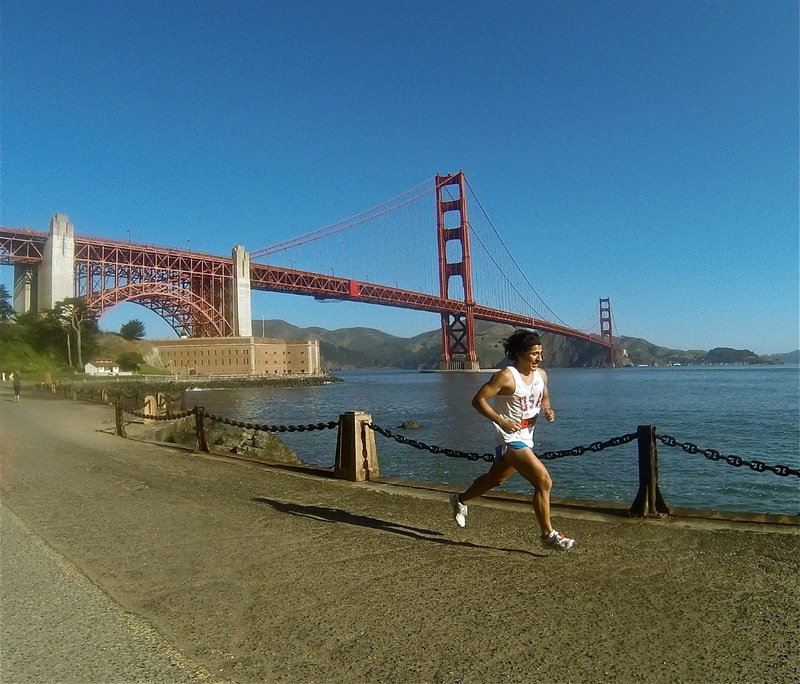 As soon as I arrived, I spotted the lean physique of last years winner, San Diego's Leon Medina, warming up along Crissy Field and joined him for a few warm up strides. 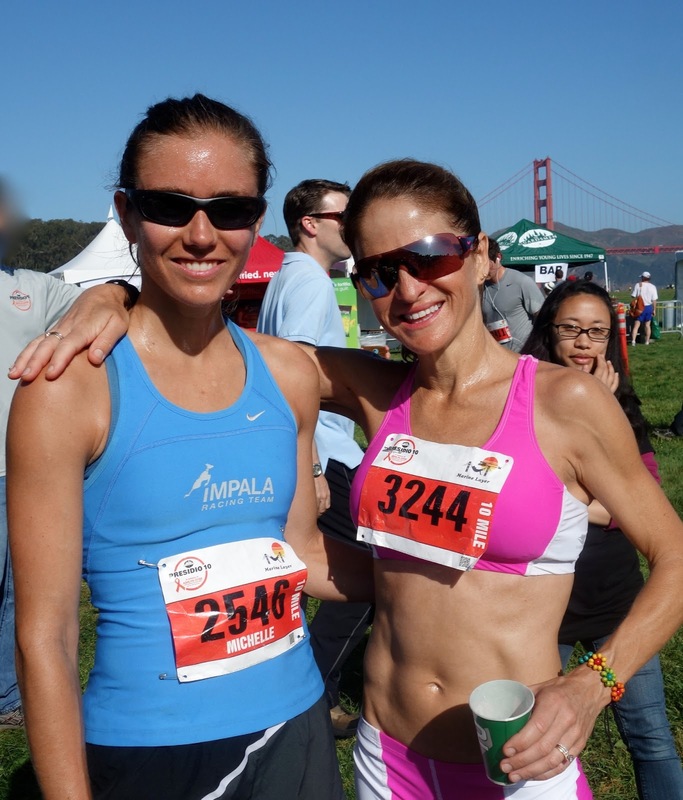 We both commented on the clear skies and near-70 degree weather...despite being April, this race was going to be hot! Leon's heavy class load at HSU still left room for training, and this was his final fast tune up before a big half marathon in a few weeks. Given his fitness level and raw speed, he was definitely the man to beat today. The Women's race had at least five great runners to keep the mix alive, including defending champion and Chico speedster Sarah Hallas, SF runner Michelle Meyer (fresh off a 2:43 finish at the Napa Marathon), and the ridiculously fit and fast Verity Breen who is always in contention. 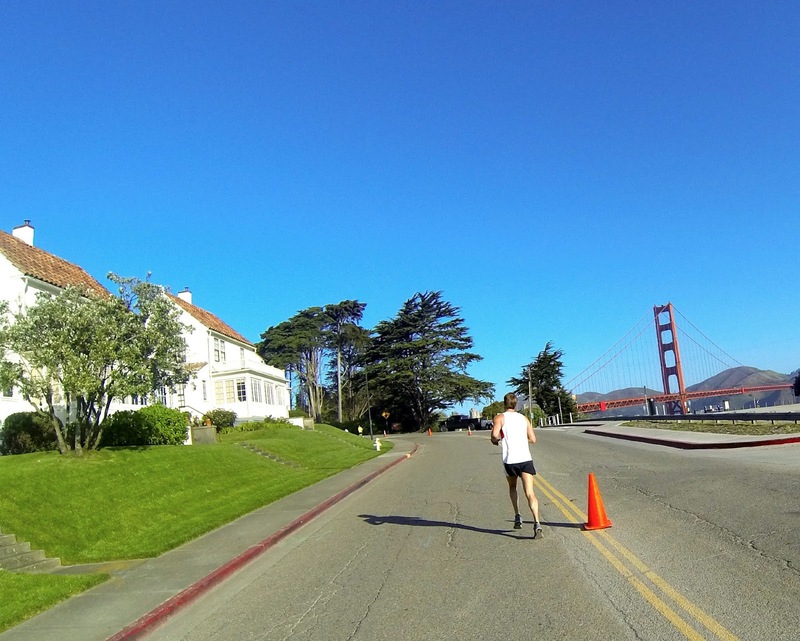 It would all come down to who was ready for the sharp and steep hills around the Presidio, and who left enough for the two mile bayside sprint at the end. 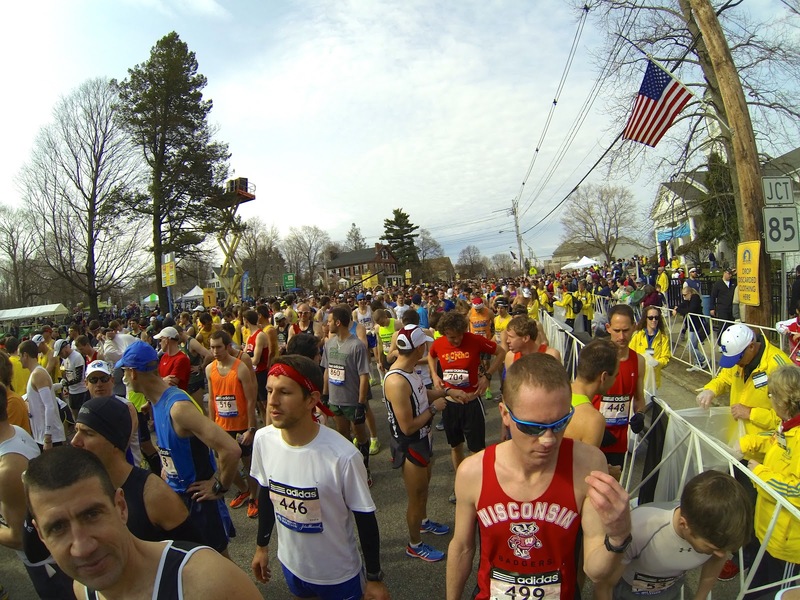 There was a lot of blue and gold in the starting corral as runners donned Boston Marathon finisher shirts going back as far as '78. Friendly hugs lasted a few extra seconds, always ending in smiles and an unspoken gratitude to be here and healthy. It was stunning to realize how broadly and deeply the Boston bombings affected everyone; Boston is a part of every runner in one way or another. But this is how we show our solidarity...we move on, we celebrate the day together, we send our prayers to those still healing. The RD's brought one of the original founders of the Presidio 10 on stage, who did an amazing job reminding us what our national anthem means and how it is one of the few anthems that asks a question...will that Star Spangled Banner yet wave? It is a sign of our strength to move on, to overcome. I couldn't help but tear up thinking about that. But as the RD called out "5,4,3,2,1...", my head and heart calmed for the task at hand. 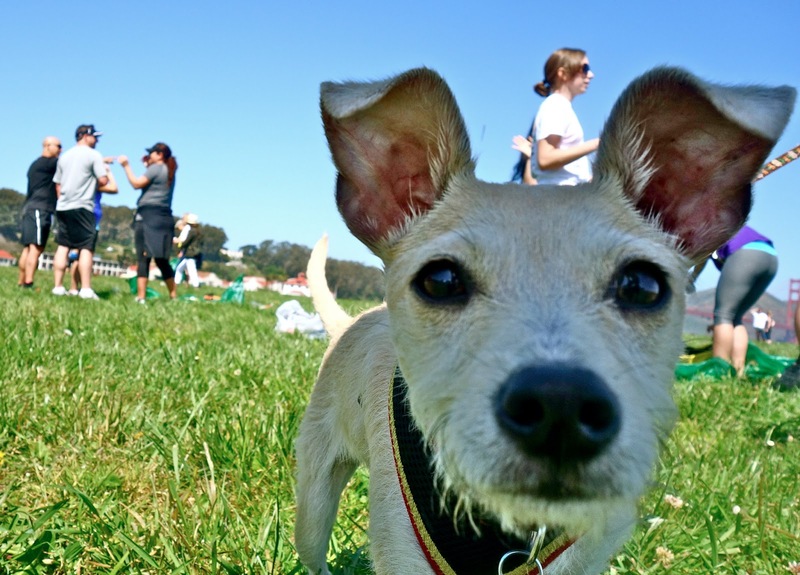 Ah, the cleanse of purpose, especially a speedy romp through the Presidio! It felt awesome. The gun released us all, physically and figuratively. Leon took it out fast (can he even go slow? ), and began navigating some of the course changes required this year due to trail erosion. The hills were easier to tackle thanks to more flat sections between each climb, but I feared my trail advantage in years past would be lost now that it's all roads and bike paths. 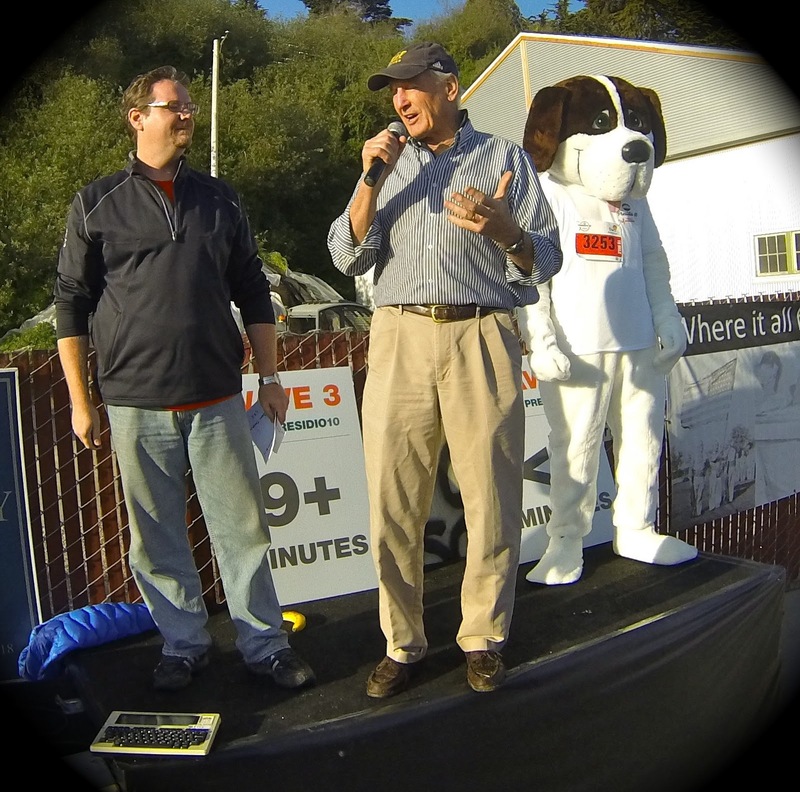 I settled into 4th place right behind Tiburon's Matthew Davies, who got an awesome shout out from a dog along the way (he really wanted to join!). 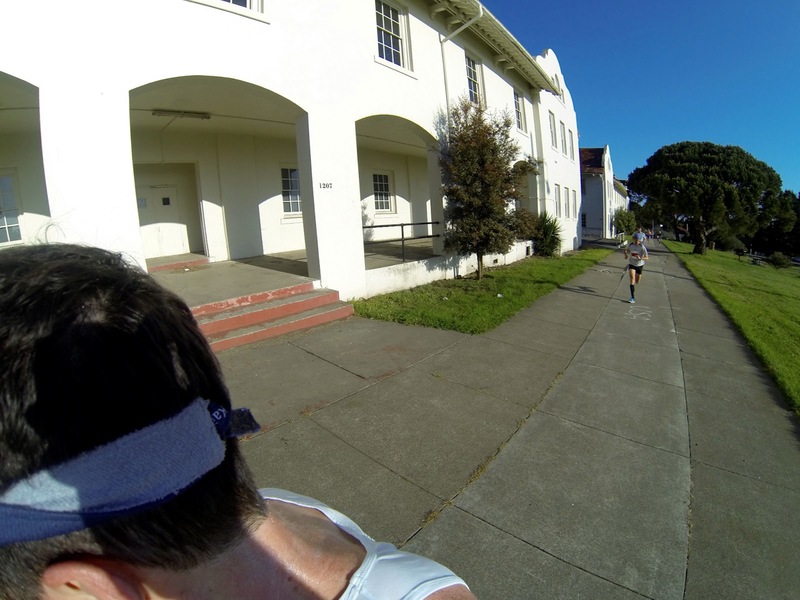 We zigged through the historic buildings of the Presidio and began the downhill plunge towards the Golden Gate bridge, as Leon and a neon-shirted Erik Jones continued to pull away from us (mile 3). 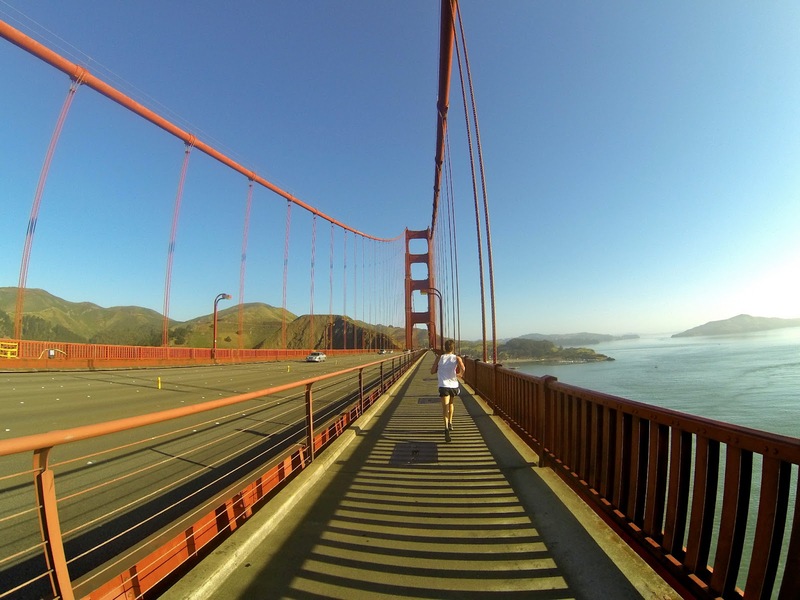 The GG bridge is majestic and beautiful, but I'll tell ya, it's a tricky for a fast run! 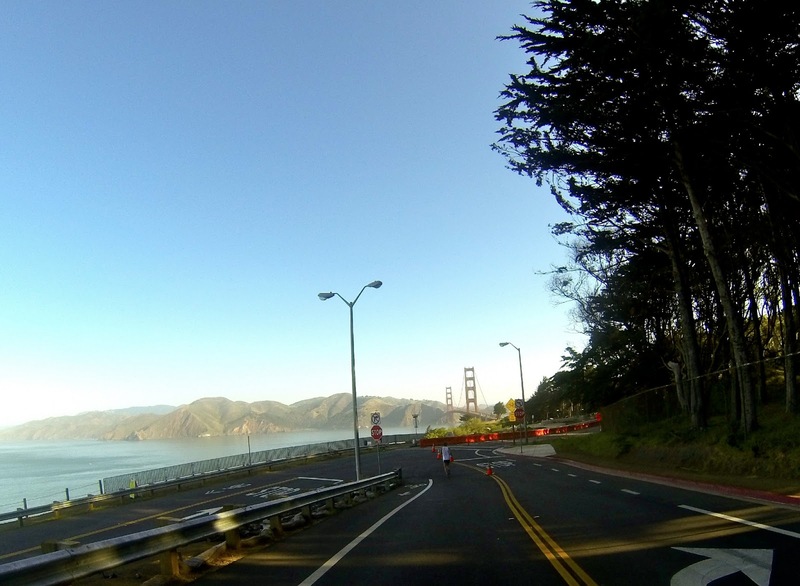 The climb up is enough to get your arms pumping and it goes on FOH-EVAH, and the fog-coated manholes are slick enough to force you to weave back and forth. 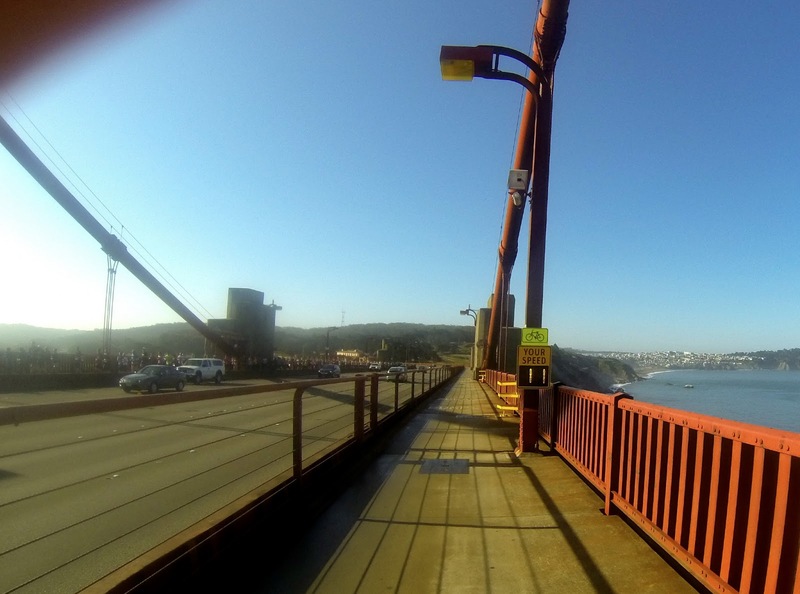 The day was amazing though, and it was hard not to stare over the calm of the Bay as we turned around and headed back on the ocean side of the bridge (mile 6). I passed up Matthew who was all smiles, and we both waved to the hundreds of runners filling the bridge on the opposite side, as well as the many honking cars giving their support. We worked our way down to the shore again, and I could see that Leon was cruising at this point with a solid 40-second lead over Erik, but Erik was still moving fast. I could also see some folks gaining ground behind me, in particular Doug Howard and Ryan Steer working together to move up through the ranks, so I picked it up to a 5:50 min/mile to try and keep them at bay. Hmm, looks like the legs still have some punch! The Women's race looked pretty tight, with Michelle charging hard just 15 seconds ahead of Sarah and Verity. We had beer and bloody mary's (The Guardsmen never disappoint!) with our pancakes, while a blues band rocked the finish line. 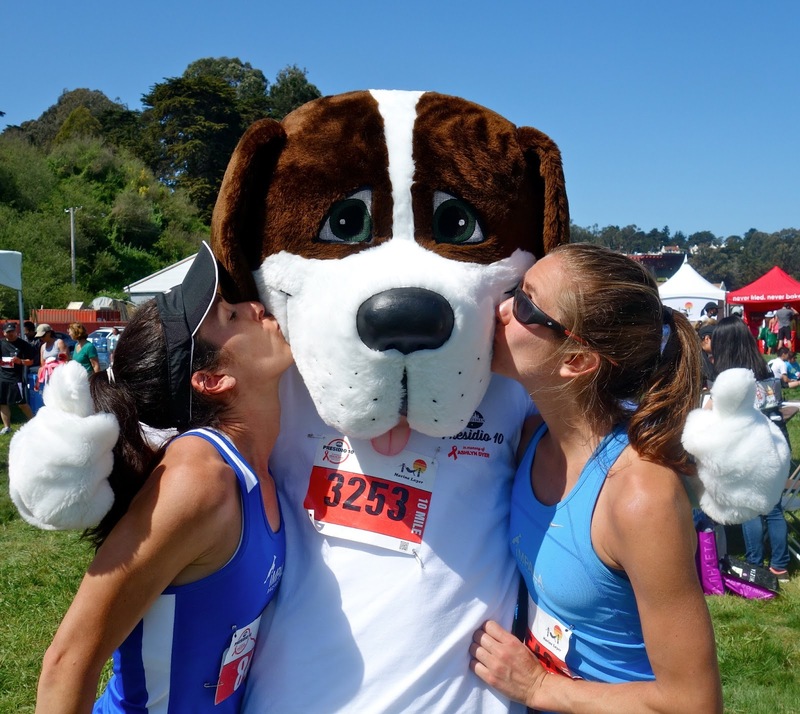 We got some pictures with the Guard Dog, the new mascot, and cheered in the waves of 10k runners. My sister-in-law, Jennifer Drue, had a great 10-miler with her friend, and I found out one of my Woodside friends was good friends with a Stanford classmate as well. See? We're all connected. It was great to talk with some of The Guardsmen too, and hear about how this race continues to raise funds to help at-risk kids and get them into outdoor programs. That would explain all the young smiling faces at the aid stations! All in all, it felt like we did some good for the universe today. I let the sun burn into my skin a bit to capture this day and these welcome moments of calm and clarity. I'm back home, back with "my people", grounded once more. It all feels fresh and new again. 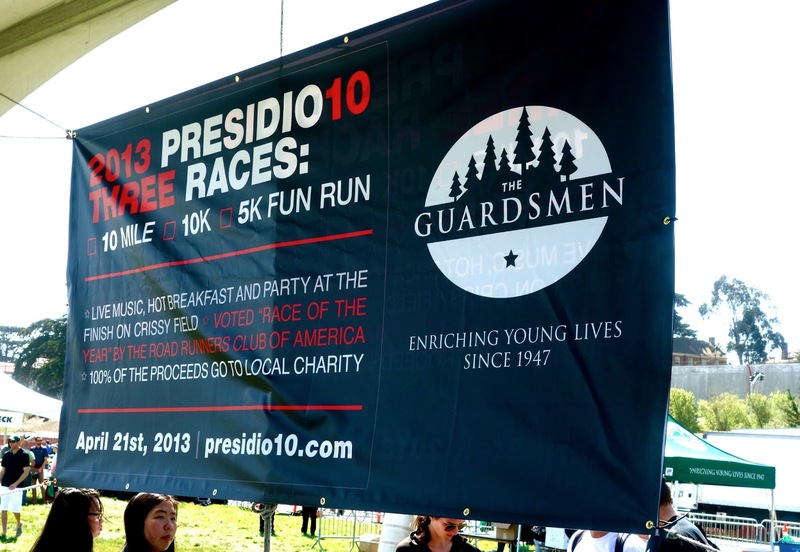 Thank you Guardsmen and your amazing volunteers for that, and congrats on another successful Presidio 10! I will see you again next year, my friends. Boston Mayor Thomas M. Menino, Massachusetts Governor Deval L. Patrick, and One Fund Boston are calling upon Boston and all communities across the Commonwealth to join together in a Moment of Silence on Monday afternoon, exactly one week following the Boston Marathon bombings. The minute of silence will take place at 2:50 p.m. ET to honor the victims of the attacks and their families. It will be followed by the ringing of bells throughout Boston and the Commonwealth. Mayor Menino and Governor Patrick are humbled by the support shown by the public and the business community, and the B.A.A. will join in support and in honor of the victims and their families. 2) Make a donation to the One Fund. 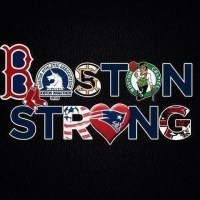 Visit onefundboston.org to make a direct donation to help the victims of this tragedy. 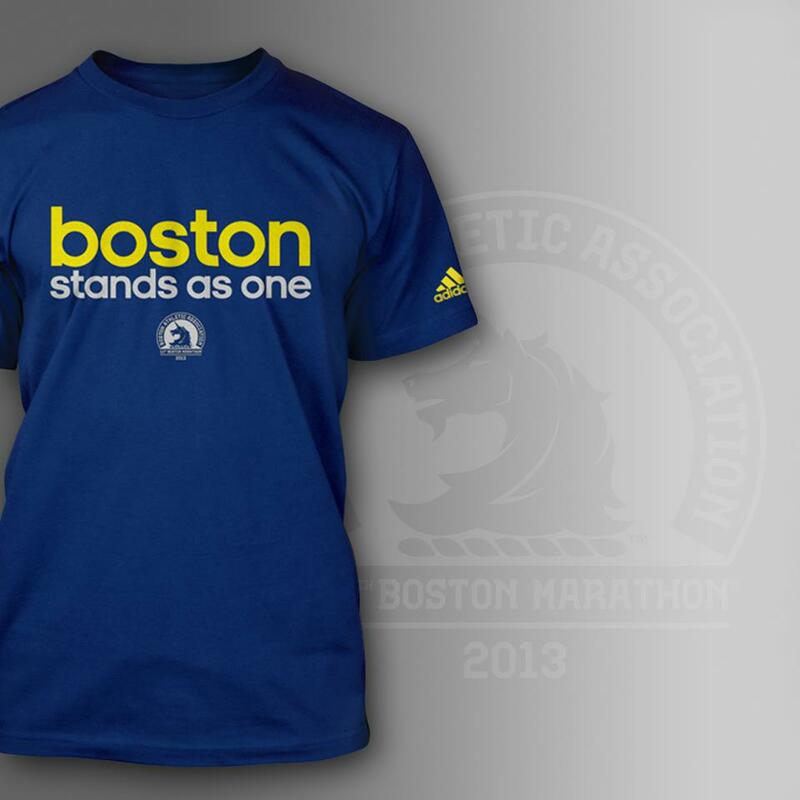 3) Buy the Boston Stands As One T-Shirt. Adidas created this t-shirt and will be donating 100% of profits to the One Fund. 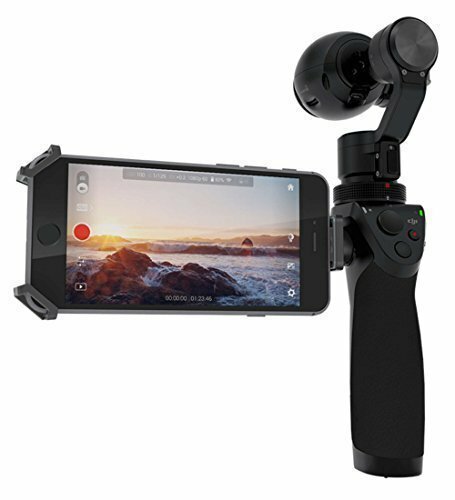 The initial run sold out in hours, so they are making more. 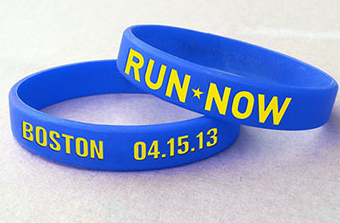 If Livestrong-like wristbands are your thing, head to runnow.com to get one of the 100,000 to be made (all proceeds go to the One Fund). 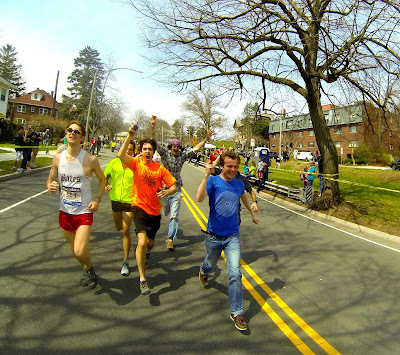 5) Join a Local Boston Solidarity Run. They are going on everywhere - just ask your local running clubs. 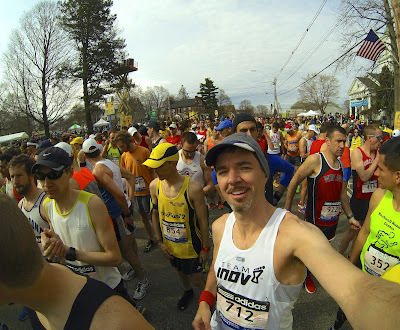 6) Get Ready for Boston 2014. Come show Boston some love next year. 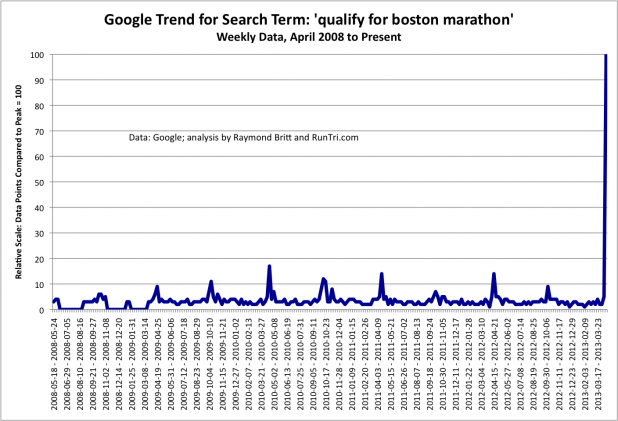 Given the interest levels of qualifying (see graphic of Google inquiries for "qualify for Boston"), it may be tougher than ever, but I get the impression 2014 will be an amazing year. If we're lucky, we get a few days in life when we truly feel alive. A day when your emotional boundaries are stretched to their limits, exhausting the body and mind, exhilarating the soul, and filling you with gratitude for years to come. It's the reason many of us toe the line at marathons, triathlons, and extreme races, secretly hoping the day turns out to be anything but normal. 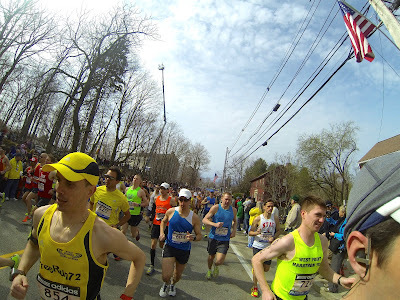 The 2013 Boston Marathon became one of those days for me in a "be careful what you wish for" way. I'm happy to have PR'd, but after the tragic bombing that occurred several blocks away from me at the finish line, I am far more happy just to be alive. The beginning of the 117th running of the Boston Marathon was its usual cauldron of optimism as ~23,000 runners piled into buses to head to the start. The weather was ideal - overcast and expected to be in the low 50's for most of the race - which was a relief after the 90+ degree heat monster from last year. 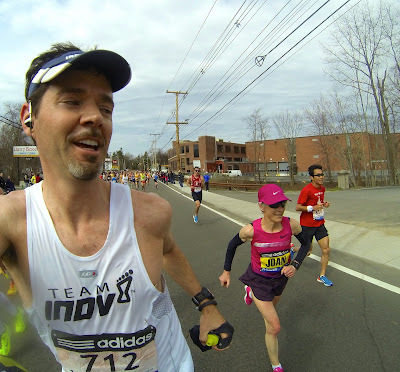 I had decided to go fast on my 9th running of Boston, thanks to being in good shape, healthy, and realizing this was a pretty good place to go for a PR given my familiarity with the course and the good company of many faster runners. My tapered legs (over-tapered?) were screaming "GET ON WITH IT! ", and corral #1 buzzed like a beehive as we counted down the last few minutes. My stretch goal was 2:40, a solid five and half minutes off my PR, but possible given how my training was going. We all counted down together...3, 2, 1...and we were off! 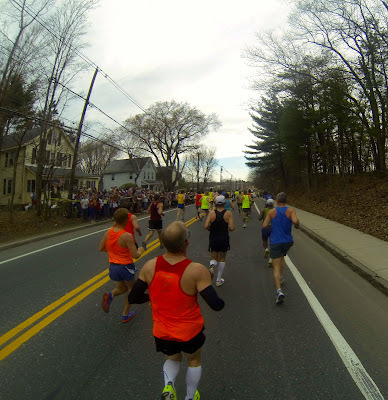 Mile 1 was slow (6:21 min/mile, when I need to average a 6:08 pace) thanks to runner congestion, but probably did us all a favor by holding us back from bombing the downhill. By mile 2, I was back on a 5:55-6:08 min/mile pace, looking for any runner with a bib number between 390-440 that would indicate a 2:40'ish qualifying time. I ran along with Loren Wohletz (#415!) from Albequerque, NM, whose long brown Wardian-like hair was easy to spot in the crowds, and he said he was looking to sneak under 2:40 today. A perfect teammate! I hit the halfway in 1:20:20 perfectly, and was still feeling good enough for a negative split. The first half of Boston is easier than the second, so some reserves would be needed to keep the pace. Loren started clicking off 5:55 min/miles, so I had to let him go (he went 2:40:04! ), and instead fed off the amazing crowds that came out in droves. Nothing like a few high fives to get your spirits up! The Newton hills came, and I charged up best I could. My left foot started cramping right under my strike zone (a relatively new experience for me), and despite various attempts at altering my gate, it got progressively worse. By the time we hit Heartbreak Hill (mile 20), I had a peg leg stride that was adding 20-30 seconds per mile. Darn! I asked the guy next to me what he would suggest, and he said, "I suggest you sack up and deal with it". Hilarious! And also true. Words of wisdom from a fellow tough runner. This would all be over in 30 minutes and I could ice it all week if I needed to. I kicked it back up to a 6:00-6:08 min/mile pace, with a curse-laden Tourette Syndrome whisper accompanying my rhythm. 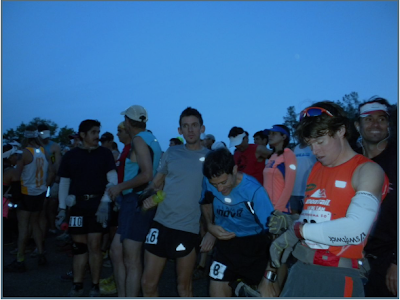 Lots of folks saved for a kick, so it was easy to tag onto faster runners as we entered the last miles. I had lost a 2:40 finish, but was within striking range of a new PR. We hit Boylston St. and I red-lined to the finish, good enough for 2:44:35 and 457th place. A 42 second PR! I'll take it. I took off my left shoe and hobbled my way through the finish chute with a big smile on my face. The front runners had an epic battle, with Ethiopian Lelisa Desisa pulling away from two others in the last mile to win in 2:10:22, and Rita Jeptoo winning with 2:26:25 just over a year after having her first baby. American's Jason Hartmann and Shalene Flanagan each took 4th, respectively. As we got our snacks and headed to the massage tent, it was clear that many had PR'd today. Everyone I asked had shaved off one minute, two minutes, even seven minutes...it was a day for champions. I got my massage, thanked the volunteers for their amazing service once again, and headed back to the finish line to get a beer and cheer on other finishers. BOOM. A few seconds later, another one. BOOM. What was that? A celebration? A gas leak? Within seconds we had our answer, as all we could see through the pub front window was thousands of people running with panic in their eyes. 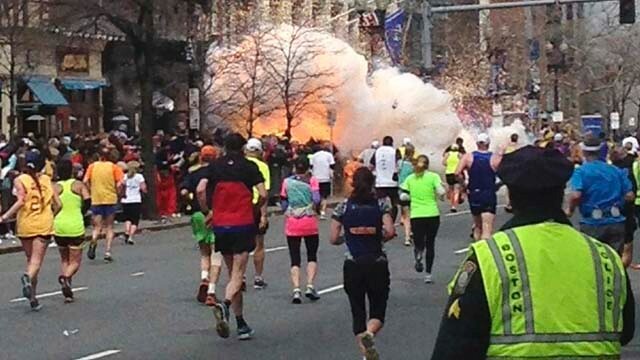 A crying woman stepped into the pub, saying something about an explosion at the finish line, bodies, and limbs...we all stood there in shock. A few minutes later, the TV's were turned to the live coverage and we got the unfiltered clarity of the horror. It was surreal to see it on TV while hearing the crowds outside, and seeing and smelling the smoke. 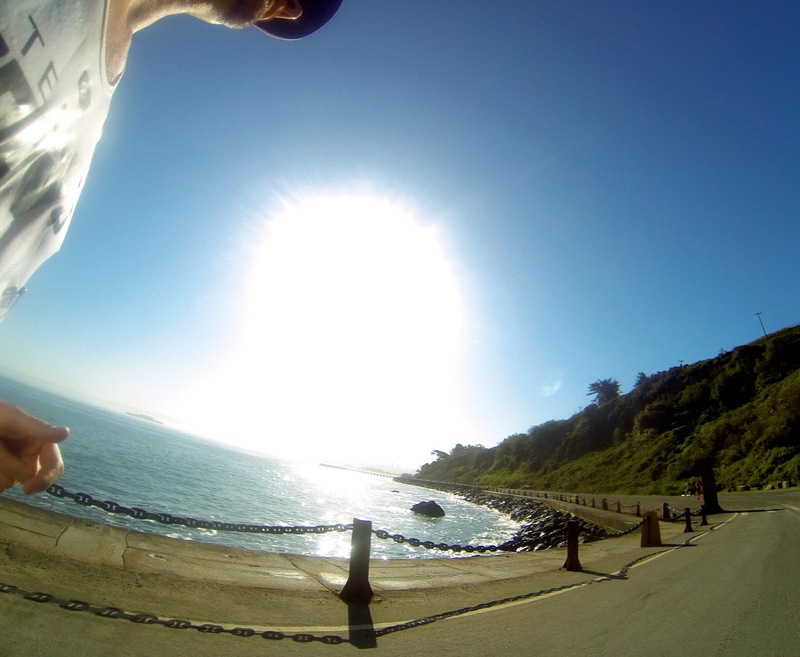 My senses said to run, but I didn't think it made sense to go anywhere for the time being. But a few minutes later, the pub owner said they were closing. All of the blocks near the explosion were being evacuated. On the curb, the scene was intense. I frantically made my way against the crowds towards the scene. Nobody could find their loved ones, and feared the worst. Names were being screamed out in helplessness. Local Bostonians couldn't believe what was happening in their community, and the tears streamed down their faces. Sirens echoed down the city streets, and bomb units moved their way in. My shoes were sticking to the ground with every step, and only later did I realize that is was from blood tracked from the scene of the crime, the all-too-fresh ghost of victims who had been whisked away in minutes. I hustled across the Boston Commons park and stepped into another pub with lots of big TV screens, texting my wife and parents that I was okay before the phone lines jammed up. The efficiency of the Boston Police Department, medical teams, and volunteers was stunning, and the medical tents for the finish line quickly turned into MASH units. The videos showed as many runners going TO the scene as running away from it, and it was clear there were 100 people helping on scene within five seconds. Then the counts started to come in...three dead (including an 8-year-old boy), 125+ injured, 10+ amputations already. Then another explosion at the JFK Library. It's not over, people. Tragic. Senseless. I felt nothing. I couldn't even conjure up anger or denial. It was similar to when I narrowly missed the 9/11 tragedy twelve years ago and couldn't feel anything for days. I needed to do something. I needed to help. All celebration festivities were certainly cancelled so I couldn't go there to offer help, so I called Mass General Hospital to see if they needed help or blood donations. They had plenty of both. I went online to offer my hotel room to any displaced runner, only to find a list of thousands of Bostonians opening up their houses. Boston was telling me "we got this, bro...we got this". Of course they do. This is Boston, one of the greatest communities in the world. Nobody takes care of their own like Boston. I looked at my cell phone which said I had 53 texts, 85 Facebook messages, 30 tweets, and 18 phone calls. It was family, friends...it was you guys. Yes, I was okay. 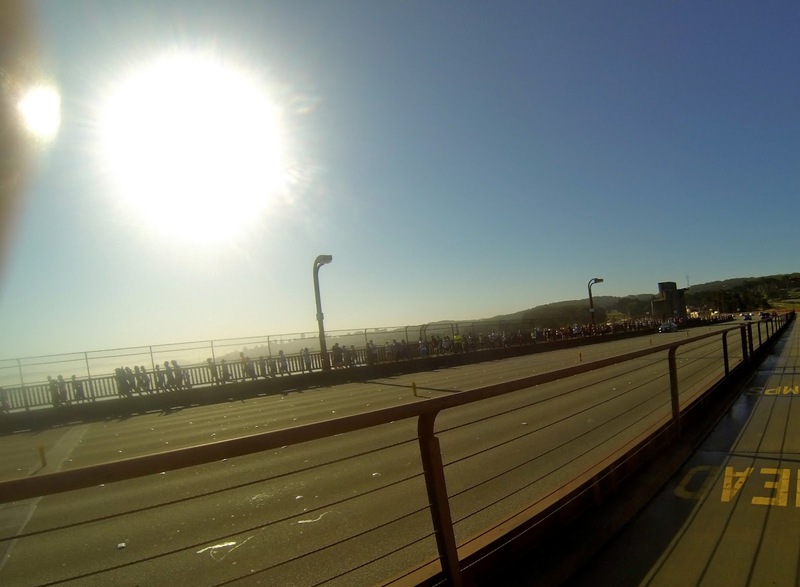 Yes, I had been at the finish line ~30 minutes before, but my need for beer may have saved my life. In fact, let's have a few more beers. I opened up a tab and invited everyone to raise a glass to the Boston Police, the families of those who were affected, and to celebrate being alive. But in classic Boston form, the staff of the Beantown Pub just kept bringing free drinks. Hugs were welcome, but my money was not. As I got back to my hotel, another runner told me what it was like to be 500 yards away from the finish and told to stop (~5,700 runners were unable to finish). It was his first Boston, and like many who were coming in around the 4:09 mark when the bomb hit, he was running for a charity. I offered him my finisher medal, and he just smiled and said "you're the fifth person to do that in the last hour...no worries, mate, the BAA will take of us". His smile made me smile, and we hugged. Then he saw my watch and said "2:44? That's outstanding! Tell me about your race...". And just like that, the healing began. My senses came back quickly. 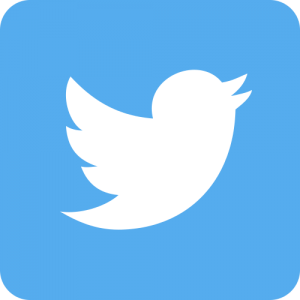 I felt denial, and asked myself "why?" a few hundred times. I got angry, and blasted off a "#GFY terrorists" tweet (that's the Go F*** Yourself hashtag) which, of course, did nothing. 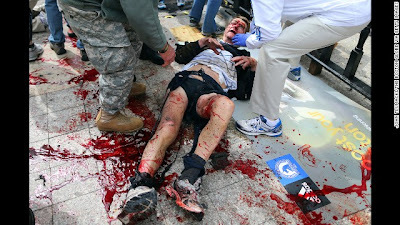 I was furious, realizing what an easy target the Boston Marathon is and it was likely just a matter of time before some of that small sliver of crazy of humankind would see this as prime media leverage. Munich Olympics, Atlanta Games...the pinnacle of sport will forever be in the crosshairs of attention-seeking zealots with a few loose screws. I FaceTime'd with my wife and kids, keeping my cool, but turned into a sobbing mess as soon as it ended. This was good. This was healing. Somewhere in the whirlwind of emotion I fell asleep, and woke up still fully dressed with a new appreciation for life. That day is done. This day is ours. We all move on, stronger than before and gracious to be alive. Heroes abound. We will remember this day forever. I am sad for the victims of this terrible tragedy. I am proud of Boston for their incredible response and support, and to the B.A.A., B.P.D, and local hospitals for being so prepared they undoubtedly saved lives. But most of all, I am happy for today. Happy to the point of tears that I get live and be healthy, surrounded by caring friends and family in a world where freedom cannot be stopped. 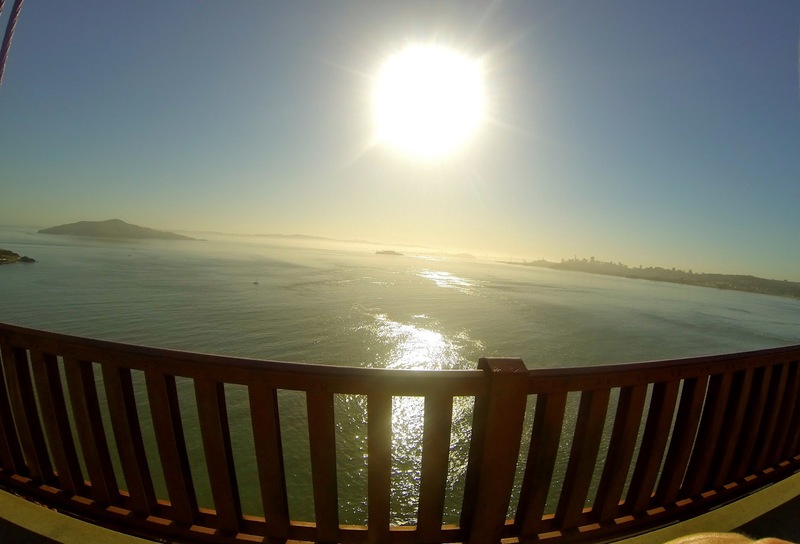 The world feels brighter this morning, the sounds and colors are more vibrant. I will not take it for granted. This day is a gift. Give your kids an extra hug, raise your glasses, tell everyone close to you that you love them. It might be a PR day, it might be your last day, but it's YOUR day. Cherish the gift, people. I hope to see you all soon. And in case I haven't said it lately...I LOVE YOU!!! Overtapering (oh-vehr-tay-pehr-ing) – A period of excessive rest, often accompanied by voluminous alcohol consumption, brought on by a planned 50% reduction of training volume. Side effects include endless fidgeting, restlessness, deep fears of loss of form, sunburns, phantom weight gain, engaging in pointless activities like jogging across parks to make Strava art, ordering drinks served in pineapples, and a complete inability to focus until race day. In a groundbreaking new partnership announcement released today, the innovation lab at the The Boston Beer Company (who brews the famous Sam Adams beer) has revealed the results of their joint venture with the Boston Athletics Association to develop a single beverage that can be used during a race to hydrate, as well as after the race to celebrate. The new Harriest Indian Pale Ale (IPA), is said to be fortified with electrolytes such as sodium, magnesium, and potassium, as well as fish oil rich in Omega-3's. The name is derived from the Hash House Harriers, a club of "drinkers with a running problem" whose local Boston chapter provided daily test subjects over the last 12 months for the new concoction. "It has a pleasant earthy flavor reminiscent of face-planting right on Bolyston Street," said BAA Race Director David McGillivray, "so even those who drink too much will get a taste of the finish line." "We put a lot of thought in developing a beer that could be easily chugged while running," explained Jim Koch, founder of The Boston Beer Company and 3:08 marathoner, "it is cask-conditioned to keep the carbonation down, but still has enough head to retain a beer mustache that can help you savor some electrolytes between aid stations. There are 150 calories in each bottle, so with a solid training regiment, it's possible to drink 1-2 of these bad boys per hour over the course of a marathon. Even if you overdo it, the flavor is light and hoppy, so it will taste good going down or coming up." The idea for the new hydra-beer came from an impromptu brainstorming session between Mr. Koch, Mr. McGillivray, and Olympian/5-time 800-meter National Champion Nick Symmonds. 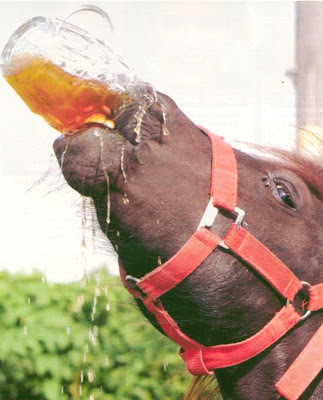 "Nick was coming fresh off his record-breaking Beer Mile (5:19), and was drinking us all under the table after a press event," said McGillivray, "His Olympic-caliber alcoholism was inspiring...seeing that dedication of training and his natural gifts in both running and drinking, I knew it was only a matter of time until extreme alcohol consumption would make it's way to endurance distance events. Plus it might level the playing field and give the non-Kenyans a chance to win Boston for once. We wanted to be first and make this happen for our runners, our Boston community, and America." 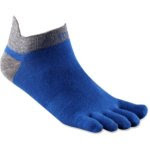 "To push limits like that, we needed better technology," explained Mr. Koch, "This was no different than all-weather track surfaces, custom-molded spikes, or other running technology that helped runners push the limits of human endurance. Jim and I looked each other in the eye, since both of us could only see out of one eye at that point, and knew we had to do it. We started working on it two days later when our hangovers finally subsided." Mr. McGillivray also announced at the press briefing that new Boston Qualifying guidelines would include a Harriet classification for those who could finish a marathon in less than five hours while drinking 26 ounces of beer per hour. He stressed that these guidelines were quite challenging, and meant to screen out all but the top 10% of running alcoholics. The Harriest IPA will make its debut at the Boston Marathon Expo, and will be available to all runners at aid stations along the course. 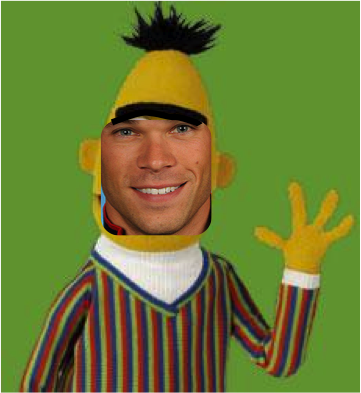 The beer will also be available to spectators along the course thanks to a large donation provided by The Unibrow Club, in exchange for Nick Symmonds getting a tattoo between his eyebrows to mimic the stylish look made famous by celebrities such as George Harrison, Bert from Sesame Street, and Noel Gallagher from the band Oasis. "Spectating at a world-class event is really hard work, and requires keeping your hydration and electrolytes in balance for hours," said Mr. Symmonds, "just ask any of my 29,663 Twitter followers, many of who already have unibrows, and all of whom I know personally. I feel this is the perfect way to unite us all in brow hair, beer, and running."